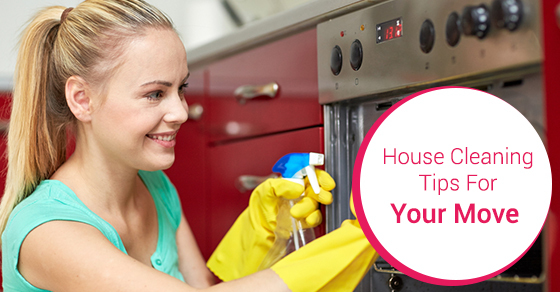 Moving into a house (and staying there for the long term) can be a difficult job, but the best way to avoid problems with future cleanliness is to thoroughly do it when you first move in. Your best option for a top-to-bottom scrub is a professional cleaning service, as they’ll have the tools and supplies readily available for any job needed, whereas yours will likely be packed away for the time being. However if you are able to take the DIY route, here’s a list of the areas you need to clean when you first move in. Sadly, few people ever think to clean behind the fridge! But it’s most certainly an area where dust, dirt, and many unpleasant things can build up. Move the refrigerator out of its place, and give the floor where it stood a good scrub down. Most people can’t even reach the very tops of their kitchen cupboards, but it’s necessary to clean these areas to rid them of dust. Get a safe ladder and a cleaning agent, and remove all the debris and small objects that have no doubt accumulated there over the years. Any decent homeowner will have at least somewhat cleaned the bathroom before moving out, but they might have missed the unpleasant fiddly bits, like behind the toilet. Unfortunately, this job will fall to you. Get some good bathroom cleaner and some rubber gloves and sort it out. If your oven is in between two counters, there’s a chance that fallen food is stuck in those cracks, likely rotting or otherwise deteriorating. Just like you did with the fridge, you may have to move the oven right out of the way and properly clean up behind there. Left uncleaned for too long, sinks will start to smell. On your moving-in day, and every so often after that, pour some chlorine-free bleach or lemon juice down your sink. Hopefully, this was all dealt with before you moved in – but there’s a chance that it wasn’t. Did the house’s previous owners have pets? If so, it may be worth checking for fleas and putting down treatment for the potential problem. You should also check around any waste areas that pests love, including any outside bins. If it turns out you do have pests, you should call an exterminator before the problem gets any worse.